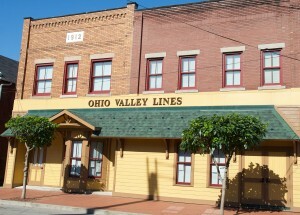 Ohio Valley Lines: OPEN HOUSE This Weekend May 6 & 7!! OPEN HOUSE This Weekend May 6 & 7!! Don't forget that we will be open as part of Spring Fest in the Historic District, May 6 & 7, 2017. Visit the Spring Fest Facebook page here (link) for more details about the Festival. Like us on Facebook (link) for additional updates. We hope to see you at the Open House this weekend! !